The HR130 is one of Wood-Mizer's affordable resaws that quickly turns cants into product with minimal labor. The compact design and simple operation are easily integrated into existing sawmill operations. The HR130 features a 11.2kW 230V 3 Phase electric motor and its feed rate is 0-26 mpm. It has a large 406mm width capacity and the belt tilts to cut at an angle of up to 8 degrees, giving you flexibility for a range of products from one machine. Compact design with a large 406mm width capacity. Ideal for angled cuts that produce lap siding. 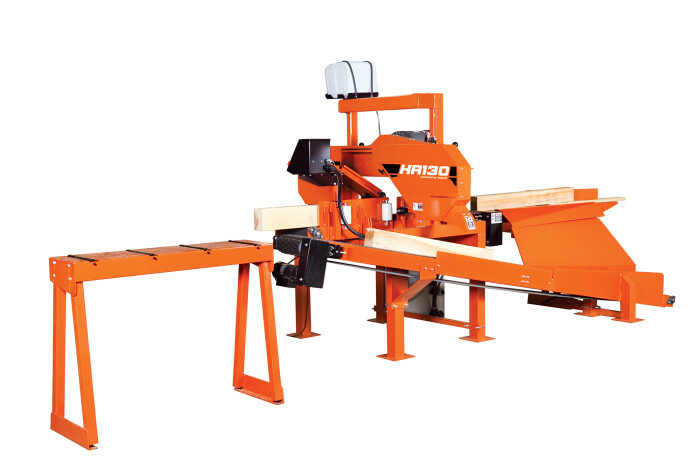 Easily integrates into existing sawmill operations.